Welcome to the Outrun website! For those of you who are on Facebook but not in the discussion group, click the icon below to join the active discussion group. All are welcome to join! Most of the communication takes place on there, so please visit and check it out. Please check out the Ultra Team news for the 12 person team that we have assembled with Fleet Feet, Dr.Tim Keyes, Salomon, & Smartwool. On April 28-29th, 2012 we are hosting the O24 (Outrun 24 Hour Trail Run) in Chapin Forest Reservation in Kirtland, OH. This is USATF certified and IAU Bronze Labeled event with individual and relay teams available. This is a volunteer run event with Fleet Feet and Runwell as our title sponsors. Registration is available through ultrasignup.com. It is a 1 mi loop on packed gravel trails in a very scenic park. 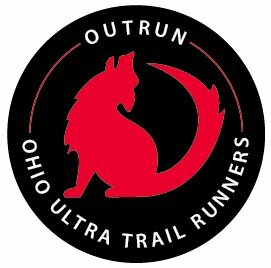 If you are looking to set a 24 hour PR, see how far you can go, test out nutrition and running strategies for upcoming ultras, this is a great local event to participate in. You'll also get the opportunity to run with a lot of great people due to the length of the course. Please go to the O24 Website for registration, course details, and more information.